This month we received a large order from Sea Salt which included lots of mugs, tiles, large jugs and statement pieces. We have all been given areas to focus on, mine is the mugs. So I have been making lots of mugs. The order requires 250, but we need spare just in case. 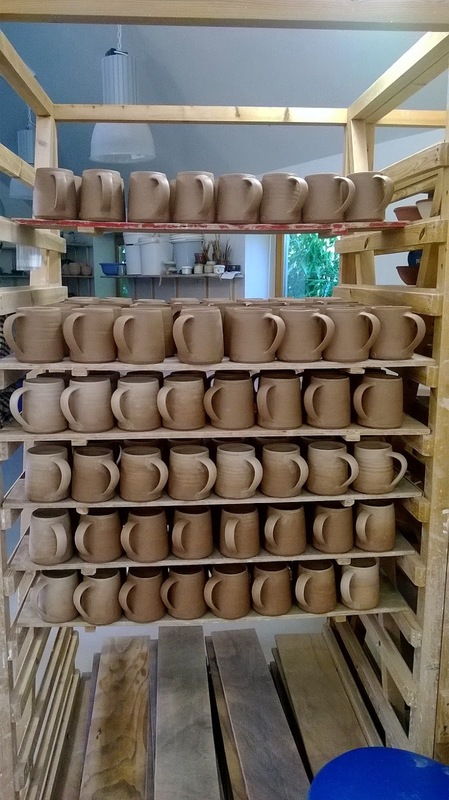 The first few days of the week were spent throwing, then the end of the week was spent attaching handles and putting the stamps on the mugs. 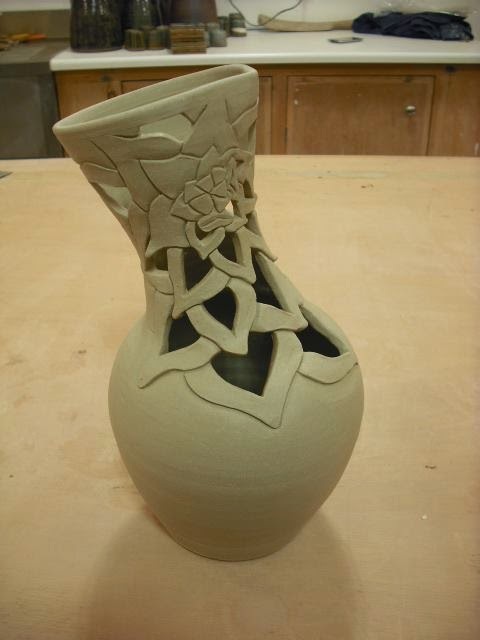 Now they have to dry before they can be glazed and fired. Then we wax the bases so that we can dip them in the gaze and the base won't need wiping. Lots of the mugs have already been glazed and are ready to package. We have been doing 4 firings a week to make sure it all gets through in time! I also fond some time to make some of my own work. 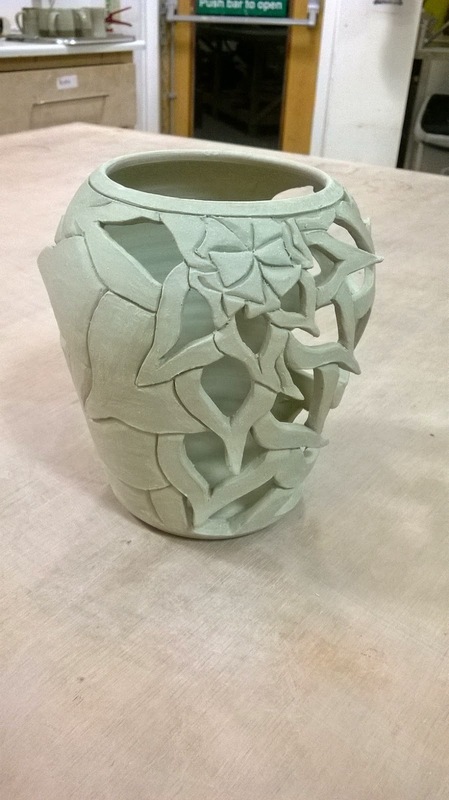 I am trying out a new technique of carving right through the pot and making pieces that are decorative. Going back to throwing my own shapes really makes me see how my throwing has improved.